Today while drinking coffee and catching up on emails Martha Stewart came on, which I don’t normally watch since most of the time I am already working in my office away from the TV. Well they featured this cook from Blackberry Farm in Walland, Tennessee. The food they were making was beautiful, organic, and just delicious looking. I just had to share this after I saw it featured on Apartment Therapy today as well. 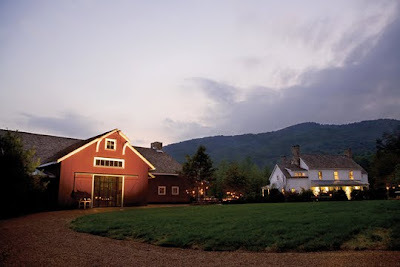 I dropped in a photo but check out the article from Apartment Therapy on Blackberry Farm here. This has to be one gorgeous wedding venue.